At MÜPA: Grand Chinese New Year Concert. Please buy your tickets on the MÜPA website. According to the Chinese calendar, the Year of the Dog makes way for the Year of the Pig on 5 February Protected content . The idea behind the Grand Chinese New Year Concert held to mark the occasion is to combine the classical music traditions of East and West, and the cultures of Europe and Asia. 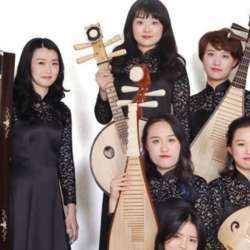 Launched in Protected content , this concert series brings leading Chinese ensembles to perform traditional Chinese music, dressed in the appropriate attire.